Armen Zarookian, DMD (Herndon) - Book Appointment Online! 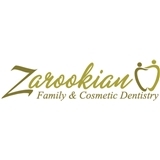 Welcome to Zarookian Family & Cosmetic Dentistry. We offer general and cosmetic dentistry to Herndon, Reston and the surrounding areas in Virginia. Our mission is to provide quality, comfortable, and conscientious dental care to all members of the community. With a combination of contemporary equipment and honest customer service, Dr. Zarookian's patient-centric approach will create a positive, stress free experience.